Does anyone know if rear deck covers are still legal in CES? I recall one track I couldn’t run it, it might have been because of host club rules. Looking through CES rules I don’t find anything that says no. I’ll need to have the new exhaust pipe custom bent to run above bodywork. Just want to make sure the rear deck is ok before having this done. Never mind the Tecumseh in the photo, it’s going to run on a Kohler. I had read the rules, and did’t see anything stating rear deck was illegal. Only thing I had seen was the 1 inch rule from the seat. That could have been the issue I had in the past at one track, of course it was my home track RA. We haven’t run with CES for a few years but seems that the laydowns had the rear decks. Can’t recall them on any 2-cycles and I’d just be guessing on the 4-strokes. Contact Dave Larson to be sure. The photo was from early 2000’s when all I ran was CES. I never had an issue but the one. Stallion did the bodywork for me with CES rules in mind. It’s probably good to run. I’ll try reaching out to Dave. If memory serves me correct, you and your brother ran KT100’s. Myself and my racing partner Ron had stopped at your shop back in the day. Dan did you ever get an answer on this from Dave at CES? No i didn’t talk to Dave, but this is from the rule book. Height from ground level of all side panels and rear pods: 16.0 inches maximum. No bodywork component may extend aft of the rear bumper. 4. Distance from seat to any bodywork component: 1.0 inch minimum. distance applies from mounting point for steering wheel to rearmost part of seat. The nose cone may be no narrower than to expose one half of a tire width per side. 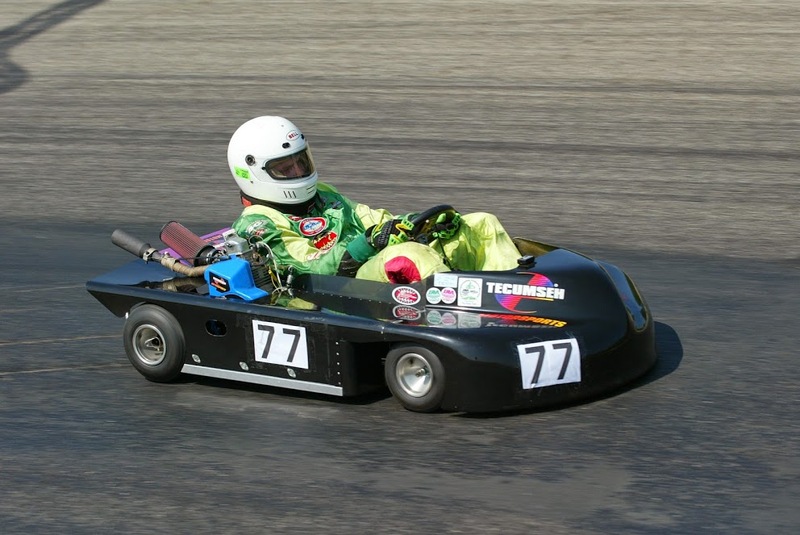 CIK style nose cones and side pods are allowed. The use of CIK mounting hardware is not mandatory. component in question, wheels straight. There are very few karts with the rear deck on them in CES. Most don’t have one. Why do you want one? If you do use one I’d make it removable just incase. It already has the rear deck, it was part of the bodywork package. I do have Dzus fasteners on it, so it’s removable if needed. The question was if they still allowed them. Reading through the rules I found an answer. Basically run it until asked to remove it. I interpret the rule as being legal.